Created independently from any political or religious authority, charity Alwane, which name translates from Arabic as « Colours », has been founded to support projects developed by civilians to help children affected by the violent conflict in Syria. The charity is active in Syria, Turkey and Lebanon. We aim to support projects which will give Syrian children a psychological and socio-educational help and give them access to education in a peaceful and secure environment. The charity, based in Lyon-Villeurbanne, was created in August 2012 by Hassan Abd Alrahman, a Syrian musician living in France since 1998. Alwane was created under the law of 1901 regulating charities in France, and is affiliated to the CODSSY (Syrian Development and Relief Collective), a charity recognised by the French Ministry of Foreign Affairs. The charity exists mostly thanks to your donations and your subscriptions, as well as the cultural events we organise all year round. All the money collected is sent to the teams working with the children. The programme of events constantly changes so it is important you check the Events page of our site regularly. All members of our team are volunteers. In a co-ed and multi-religious educative structure, groups of Syrian activists have put in place a programme of education and teaching specifically designed for around fifty children of displaced families, including such varied activities as drawing, colouring, sport or music. 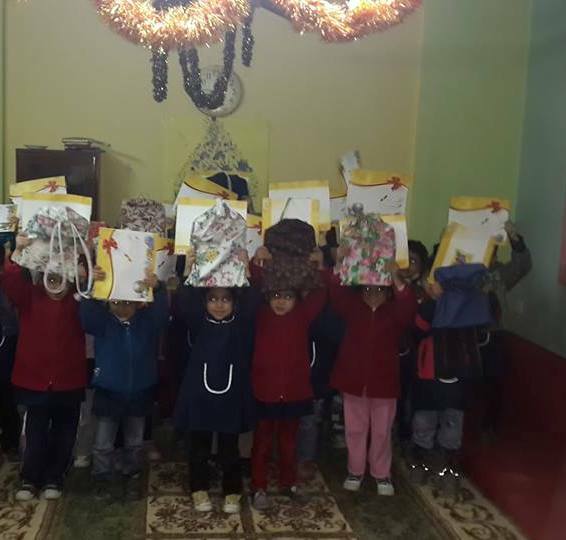 Another teaching and educational project has been set up in the suburbs of Damascus, supported by the Alwane team, and linked to the Civil Action committee in Syria and the Ma’an (Together) movement. The latter have set up three educational centres for around 75 pupils, all situated on the outskirts of the city, where there is a high concentration of displaced families. These families have neither the wherewithal to meet the cost of living nor the means to overcome the the lack of educational solutions for the young. The Civil Action Committee in collaboration with the Ma’an Movement has developed an educational programme that is taught in these centres and is mainly implemented by a group of volunteers. It concentrates on the core subjects usually taught in primary and secondary school, with additional lessons in drawing, music, sport and foreign languages. Each centre also cares for the psychological well being of the pupils in order to help them overcome the violence and cruelty that they have had to deal with. The programmes aim at preparing these children for normal schooling when the conflict comes to an end. The work is carried out in close collaboration with neighbours and local people. The teams have observed that the inhabitants’ financial difficulties result in their being unable to buy enough food. In addition to the schooling they receive, the pupils are given a meal whenever they come to classes. The centres aim to supply both the pupils’ homes, as well as those around them, with food parcels. This represents approximately 250 homes in total. The food parcels complement the small quantities of food that the families have access to. 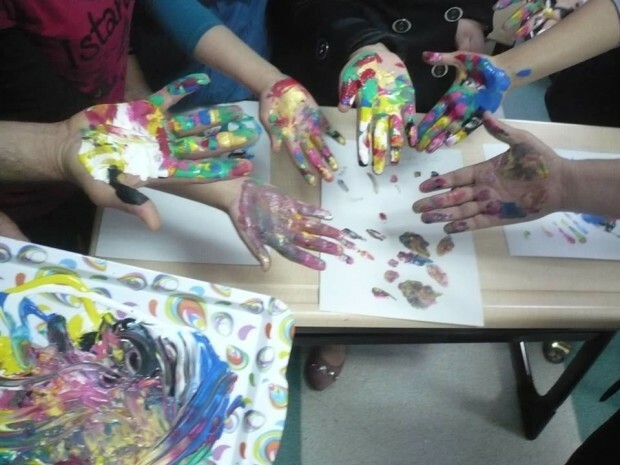 From 2013 to 2015, Alwane has helped a project of Art therapy for child refugees in Lebanon. Now, this project is completely independent. 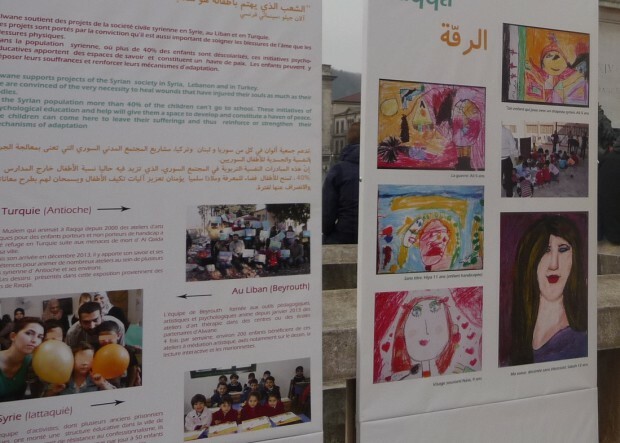 This project started in April 2014 in Antioch with a group of children from the Raqqa organisation of Child Artists, supervised by Kaysar Abou Zurr. 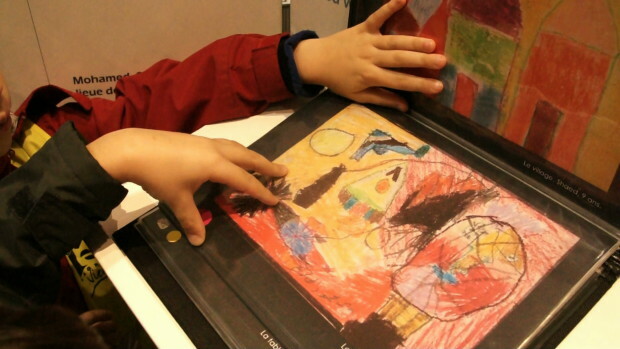 It is a component of the psychological support given to children through art. The teaching consists mostly of musical theory and violin practice. Other instruments such as the oud or the drums are being slowly introduced, on a smaller scale. 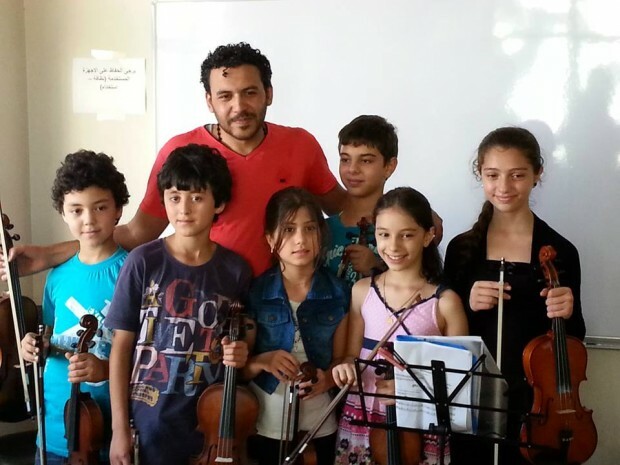 The ultimate goal is to create an Institute of Art for the Syrian children living in Antioch, as well as a children’s orchestra which will help convey a message of peace through music. in the future, concerts will be organised to help funding the development of this project. This year, two concerts were organised, one in the Tannouz refugee camp in Antakia, and the other on the premises of the Bahr association. To help the children start, a good number of violins have been bought. 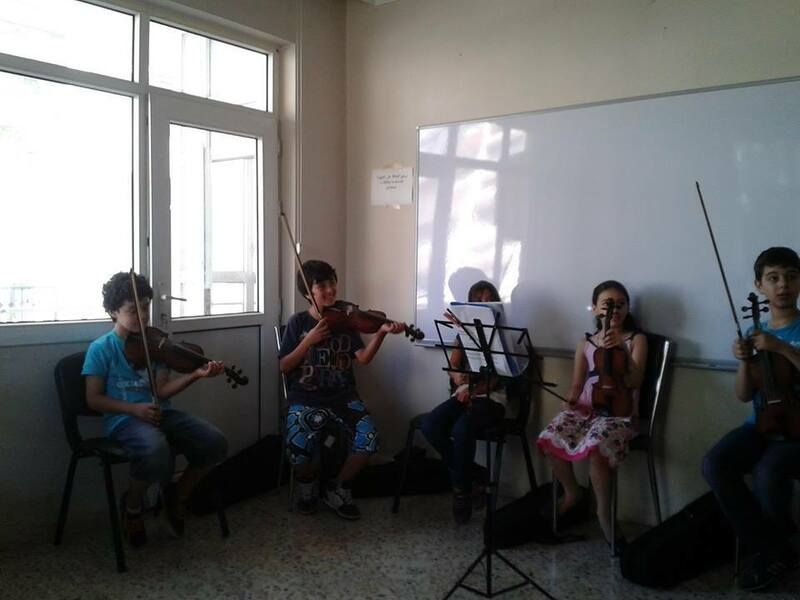 After 3 months of the children only working on musical theory due to the lack of instruments, this initiative has been fully welcomed by the Syrians. However it is impossible at the moment to accept more than the 12 children already registered due to the limited number of instruments available. Alwane would thus like to financially support this project and help open it to a larger number of children. 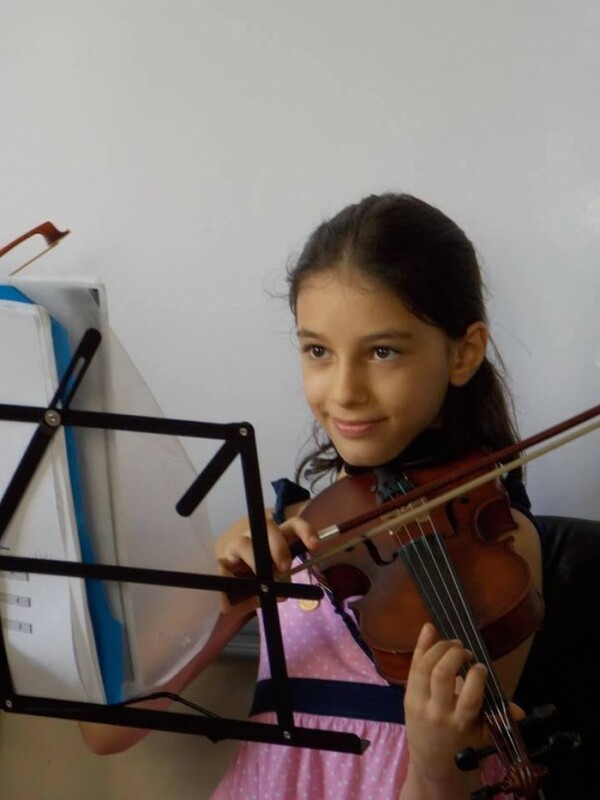 With your help, Alwane hopes to provide the children not only with musical instruments but also with teaching books and other useful learning materials. This project will then be able to evolve and reach the intended goals. This exhibit of 11 pannels aims at drawing the public’s attention to the lives of Syrian children, traumatized by the war; it highlights the importance and interest of the work carried out by Alwane’s teams in the field or by the teams supported by the charity. This event is a chance to ask for donations which will allow the teams organising workshops to carry on and develop their work. Original drawings are also on show. This charity is dependent on your donations, your subscriptions, and on the events we organise all year long. All profits are sent to the people working on site with the children. Do not hesitate to contact us, your support is invaluable. The annual subscription is €10, a sign of your interest for our actions. It is more than ever important to act together to help the Syrian civilians who, despite the terrible situation they are in, keep working on supporting, educating and teaching the children. You can also donate, regularly or as a one off. These donations will be entirely used to fund the projects. In both cases, please download, fill in and return the bulletin don/adhésion 2014-15. If you donate €50 or over, you can choose a drawing from our Gallery, and we will send you the original. 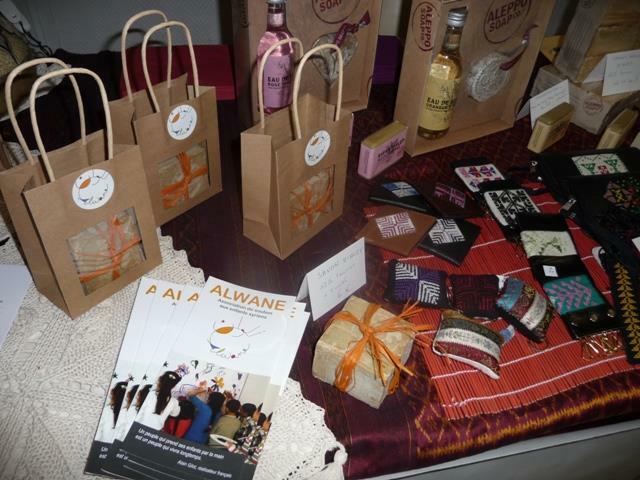 If you are a musician or an artist, you can donate the profits from a concert or a show to Alwane. Each of you has a unique set of skills, and you can always help, even if only occasionally.